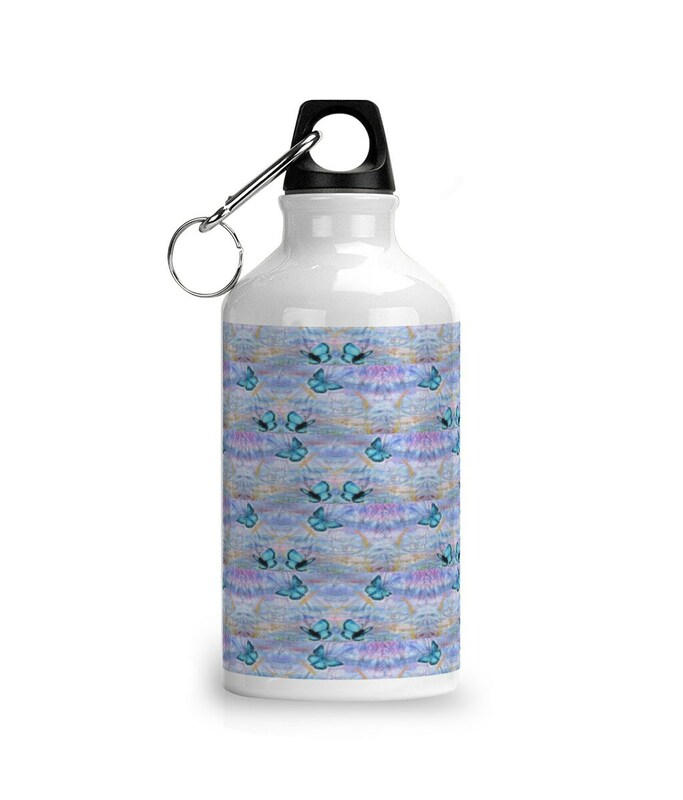 Reusable drinking bottle Butterfly print. 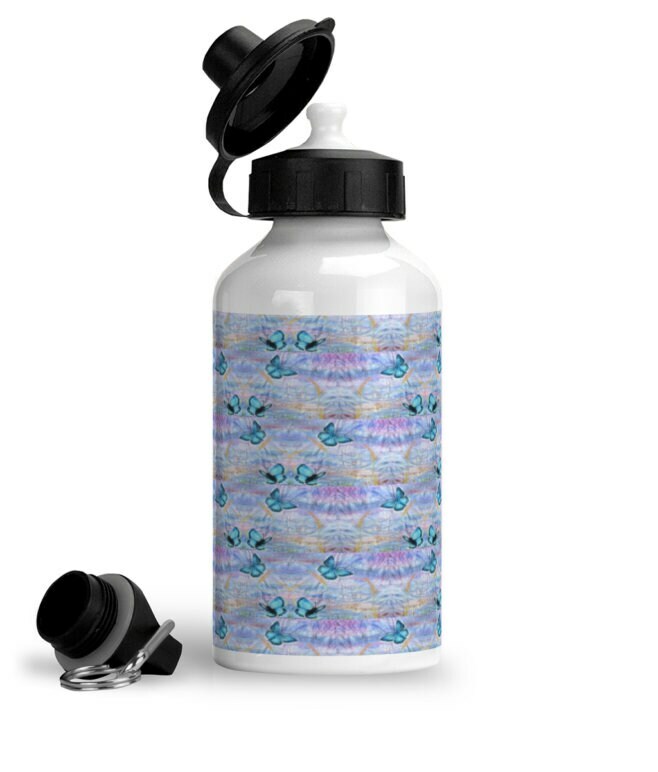 These sports bottles have a white high gloss exterior and are perfect for keeping drinks both hot and cold. 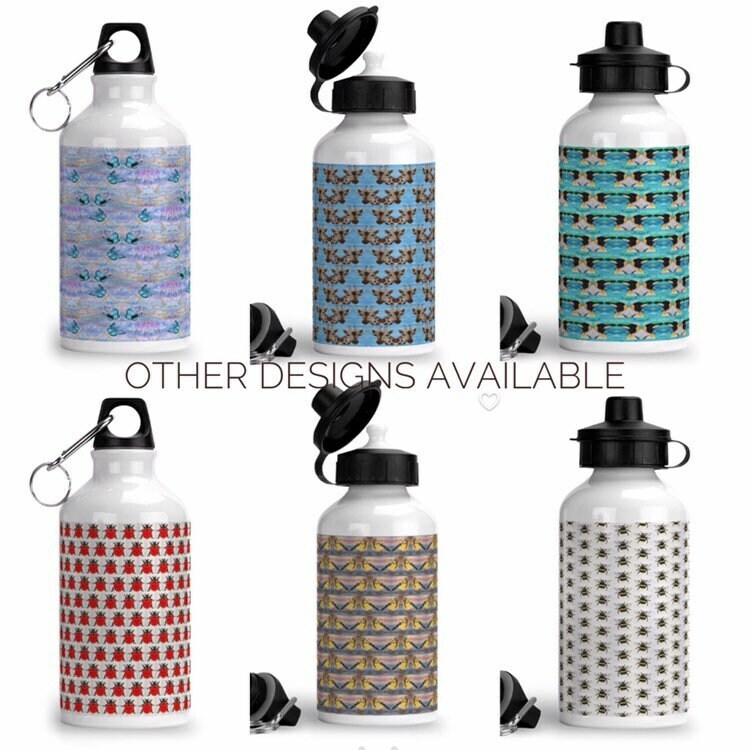 They also come with an interchangeable mouth piece with a cap and a screw top with a snap hook. 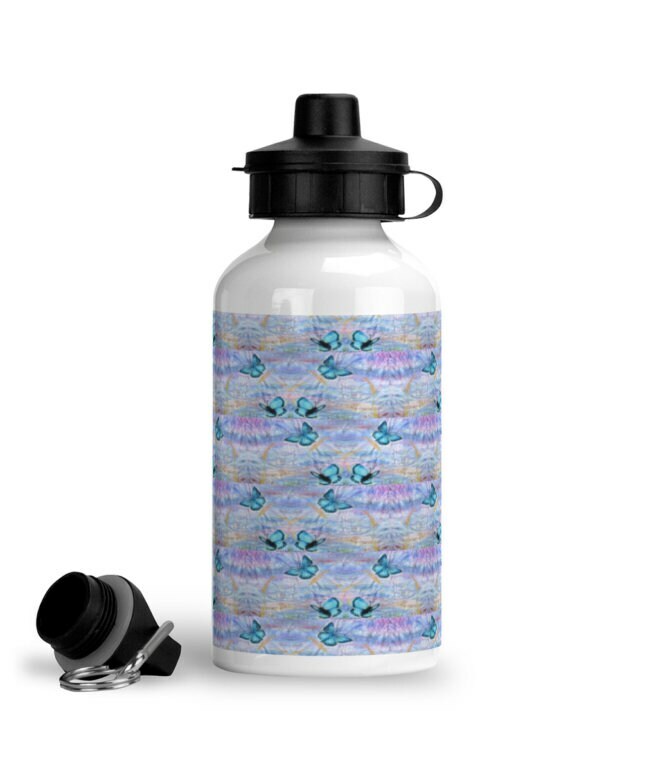 The design is a print of one of my embroideries and works really well on this eco friendly water bottle. 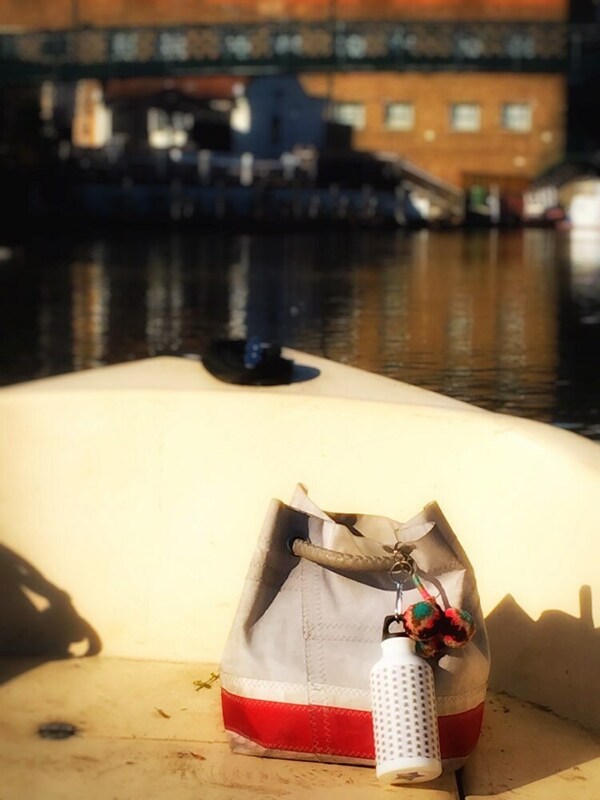 It's bright and positive colours make it a great gift for mums, dads, friends, bridesmaids, valentines or just to treat yourself. 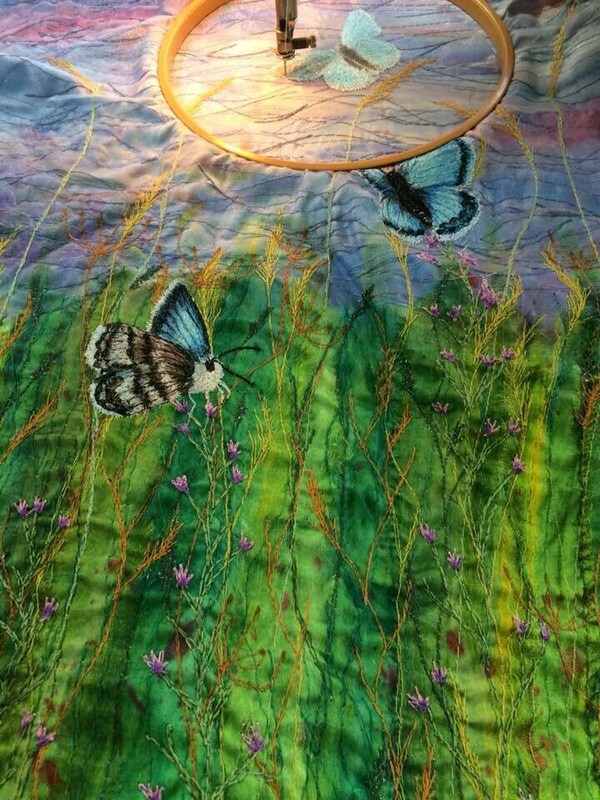 Made to order by a british printers for me and sent to you directly from them worldwide from the UK.